This is a re-post of a story written in September 2017. This was at the start of when football players were “taking a knee.” I still feel the same way. This is America, home of freedom… freedom to choose our religion, our sexual preference, to speak out against injustice, and whether to take a knee. I love America. The people are what make America great, not a stupid red hat made in China that is sold by one of our presidents businesses. Wake up America and see how you have been lied to. Stop being political and start being a human being with compassion. —-My heart is saddened over what happened this weekend. I have many friends and family that are posting volumes of pictures of disabled veterans who have defended our flag and country. Their emotional pleas state that these veterans are the reason we should fire all the football players who are kneeling at the games. They are fully supporting Trump’s hateful and thoughtless statements and I have sat by and not said a word. They will not agree with my position and that is totally fine with me. This is the United States of America and I have a right to express my feelings about the imbecile that leads our country. I fully support my country and I am proud of our strong history of helping citizens around our planet. I respect the flag and national anthem and would stand for hours to show that. However, the very foundation of what our founding fathers fought and died for hundreds of years ago, is exactly what we are seeing play out at these football games. I think our founders would be shocked and saddened to see how thoughtless and ill-informed our President is. He has tweeted and trampled on what makes our country a democracy. Many of our citizens have such myopic vision that it keeps them from seeing our country like the rest of the world views us. They are so tied to party loyalty that they refuse to see the truth. Some of them are my friends and family and will hate what I have written here. But it’s time to know the truth about the hateful Facebook posts that you share with the world. Our country was founded for one reason. Read you history books from high school. Freedom. Freedom of religion. Freedom to make your own choices. Freedom to vote for who you want without ridicule or threat. Freedom without the threat of being fired by the President for standing up for what you believe in. President Trump has threatened to destroy our freedom since he started on the campaign trail and continues to do every time he tweets out something idiotic with little thought to what our nation was founded on. Protection from oppression. Protection to stand up for what you believe in. Protection to make your own choices on everything. —–And now, 18 months later, Trump is droning on that the Maga hat-wearing high school students did not threaten an aging Native American at a political rally. This elderly gentleman feared for his life according to his recent interview, and yet Trump drones on about this being another example of fake news. The only fake thing in America is the man who is still sitting in the White House. It is time for people to quit complaining about Trump and speak out against him. 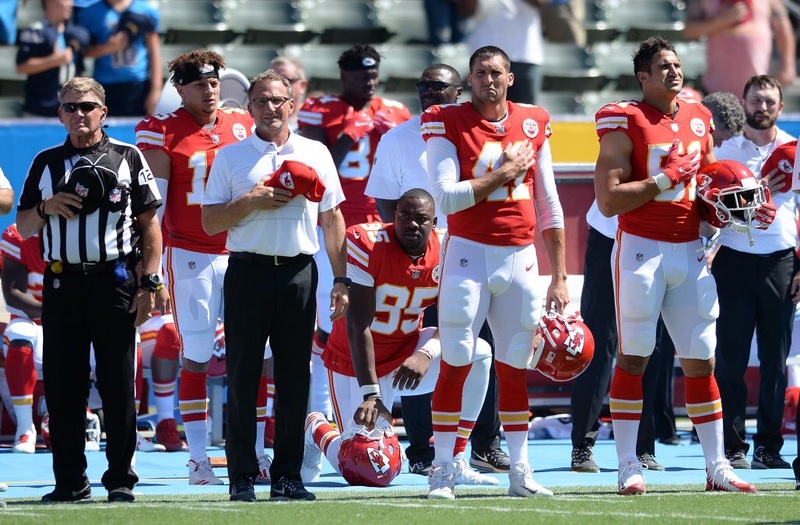 We need to take back our freedom…..freedom to express our different opinions, to choose our religious beliefs, to not be profiled based on our race, gender, and sexual preferences, and to take a knee if we want to. Next Make it a Great Day!